Last week, Marcus Mariota entered the Titans' matchup against the Jaguars as a backup after Blaine Gabbert got hurt, which meant that he was well enough to be a backup, but not well enough to start, which is weird. 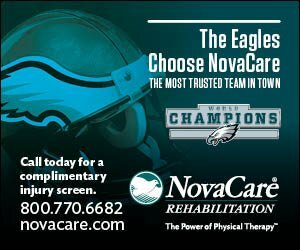 We're into Week 4 of the regular season, and just when the Philadelphia Eagles were getting another key player back from the sidelines in Alshon Jeffery, they lost Rodney McLeod for the season with a torn MCL. The Tennessee Titans, meanwhile, are comparatively healthy. Here's the Eagles-Titans final injury report before game day. • RB Darren Sproles (hamstring): Doug Pederson said before the Bucs game that Sproles' hamstring injury was "minor." It's apparently not so minor that he is missing his third game as a result of it. • S Rodney McLeod (knee): McLeod is reportedly done for the season after tearing his MCL during the Eagles' win over the Indianapolis Colts last Sunday. On the season, he has 10 tackles and four pass breakups, which doesn't properly convey the positive contributions he made in the first three games. • WR Alshon Jeffery (shoulder/illness): Jeffery's shoulder will no longer keep him from playing on Sunday. It's really only a matter of his illness, which shouldn't be an issue. • RB Corey Clement (quad): Clement played through his quad injury last week against the Colts, and had 16 carries for 56 yards, while also catching 3 passes for 19 yards. He struggled as a punt returner in relief of Sproles. • LB Nate Gerry (groin): Gerry has mostly just been a special teams player so far this season. • DT Timmy Jernigan (NFI): Jernigan started the season on the NFI list, which is essentially an extension of the PUP list, meaning he'll be out for at least the first six weeks of the season, though it'll likely extend beyond that. Jernigan was very productive early in the season last year, but his play tailed off a bit down the stretch. He has been replaced in the lineup by a combination of Destiny Vaeao, Haloti Ngata, and Bruce Hector. • WR Mike Wallace (IR): Wallace, the Eagles' No. 2 receiver, broke his fibula against the Buccaneers. He'll be out at least 8 weeks on injured reserve, though Doug Pederson noted that it may not be a season-ending injury. • ST Chris Maragos (PUP): Maragos is still recovering from a serious knee injury suffered Week 6 last year against the Carolina Panthers. He started the season on PUP, so he'll miss at least the first six games. Like Jernigan, it is not anticipated that Maragos will be ready at the conclusion of those six weeks. • TE Richard Rodgers (IR): Rodgers had a good training camp, and looked like he could be a quality third tight end. However, he injured his knee on a touchdown reception from Nate Sudfeld in the preseason, and was placed on IR. • OT Dennis Kelly (illness): An old friend who was traded for Dorian Green-Beckham in 2016. The Titans got the best of that blockbuster deal. • RB David Fluellen (groin): This is the guy the Eagles traded for kicker Cody Parkey back in the day. 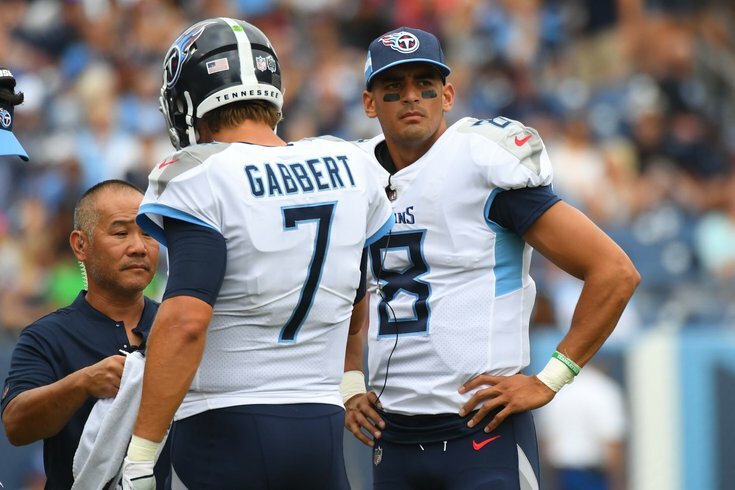 • QB Blaine Gabbert (concussion): When Gabbert has filled in for an injured Marcus Mariota this season, he has gone 25 of 45 for 242 yards, 1 TD, 1 INT, and a QB rating of 68.9. • TE Delanie Walker (IR): Walker suffered a broken ankle and ligament damage in the Titans' Week 1 loss to Miami. Walker had topped 800 yards in each of the last four seasons. He was the Titans' leading receiver in three of those four seasons. • S Jonathan Cyprien (IR): Cyprien started 10 games for the Titans last season. He had 58 tackles, one pass breakup, and one sack. Cyprien tore an ACL and was placed on IR. • OG/OT Kevin Pamphile (IR): Pamphile started 15 of 16 games for the Buccaneers in 2017 and 2 of 3 games for the Titans in 2018, at right tackle. He was placed on IR with an "undisclosed injury."